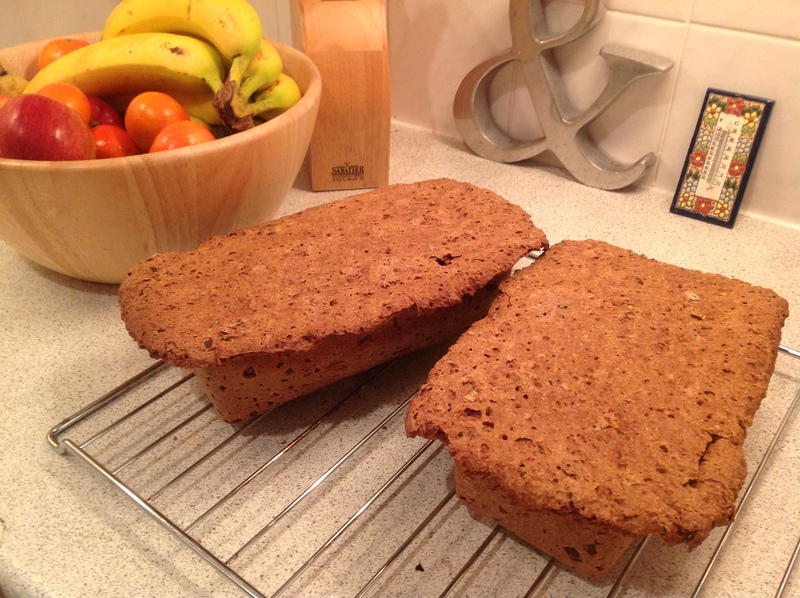 Another recipe for homemade healthy bread. 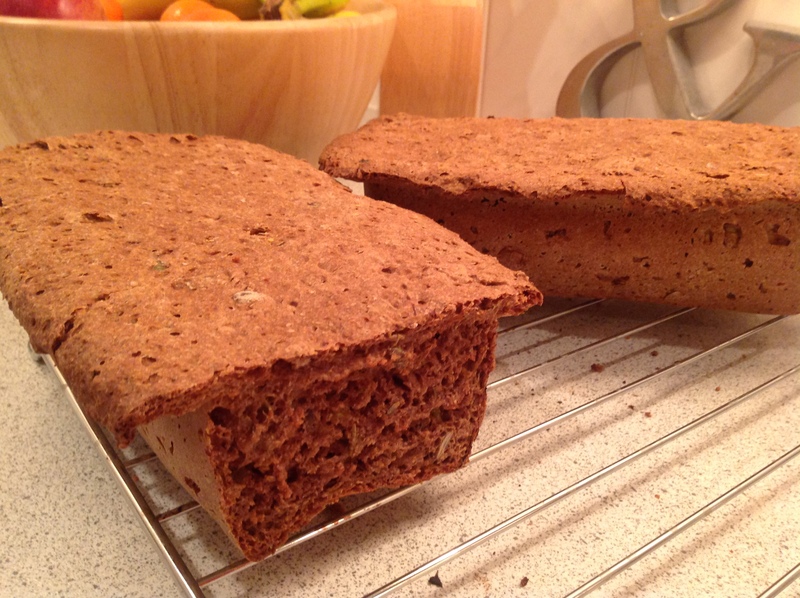 Making your own bread is a lot easier – and much more satisfying – than most people think. 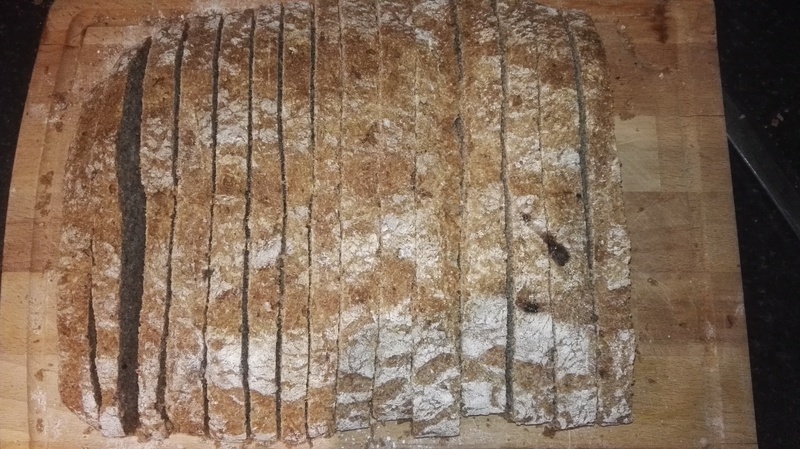 And, to top it all, it is far better for you than the vast majority of prepared breads you will find in shops and restaurants. See here for what manufacturers are allowed to put into your daily loaf. 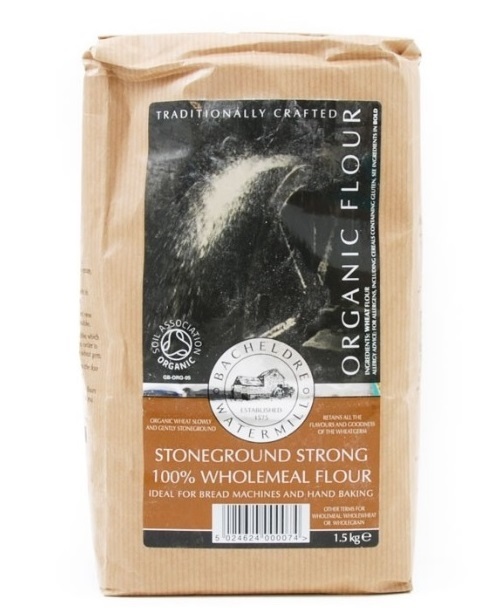 Bacheldre Organic Stoneground Strong 100% Wholemeal Flour. 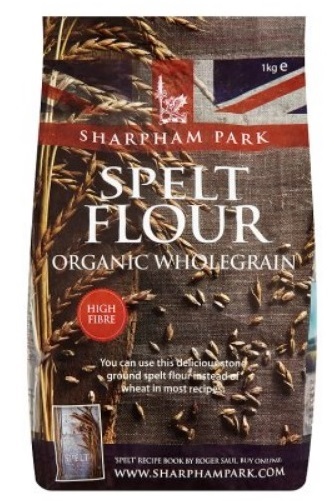 He mentions that flours from both these makers are available in Waitrose. They are also available at other outlets and online. 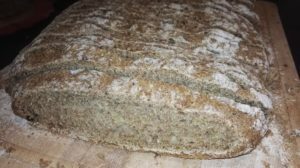 1) Mix the flours in a bowl, add 2 leeks finely chopped, the olives finely chopped too, the cumin seeds, the nutmeg, the rosemary (you can also add some chilli powder 0.5 tsp). 2) Put the dry yeast and sugar in a cup with 300 ml of lukewarm water. 3) Add the activated yeast and 1.2 litres of water in the bowl. Mix with a big spoon. 4) Knead the dough energetically until it becomes compact and elastic. If the mix is still a bit dry, add some extra water). 5) Move the dough into separate trays (A silicone tray is ideal – but standard trays are fine, just dust them with extra flour to reduce sticking). 7) Bake at maximum temperature (ideally 250 degrees) for 45 minutes. The outcome is delicious, tasty and crispy! The ingredients list displayed above is taken from the computer program used with all my clients to reliably and easily record all foods and drinks consumed daily. The program also allows us to monitor your weight, blood pressure, mood, exercise, sleep, medications, supplements, and much more. All macronutrients and a wide range of micronutrients (vitamins and minerals) are immediately available for you and your nutritional therapist to monitor and check against your optimal calorie and nutrient intake. If you are interested in finding out more, I would delighted to hear from you. If you try this recipe – or if you adapt it in any way – send me photos and details and I am sure our readers would like to know how you got on. Thanks again to Yuri for taking the time to share this with us. I let it rise for too long (actually forgot for over two hours that it was in the warm oven!) 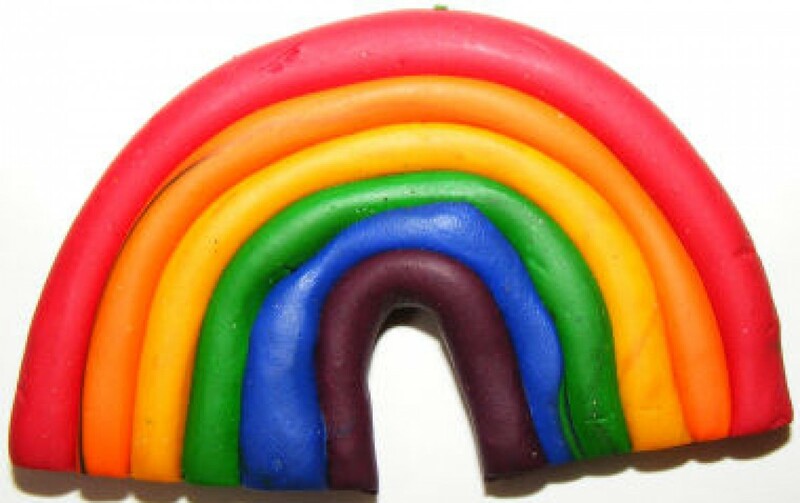 and so it went beyond the realms of gravitational possibility, dropped and thus formed a rather crunchy crust. But the taste and texture of the bread itself is really nice. Thanks again, Yuri.